Well I got tired of the squeak I was getting when backing up and have had the truck going on three years so I guess it’s time for brake pads. I could have gone with Akebonos but after losing two $100 sets to bad guides, I decided to go with cheap ceramic pads of eBay $50 for all 4 wheels. They fit like a charm, looks like it was just in time too, as two of the guides were already sticking, rebuilt the guides and calipers new pads the factory rotor were in spec. @100k I think its the first time they were cut. feel great hope they last as long as the last set did. Then it was on to replacing the harness for the fuel pump, hopefully you won’t have this problem, but I see more harness’s for sale today than ever. 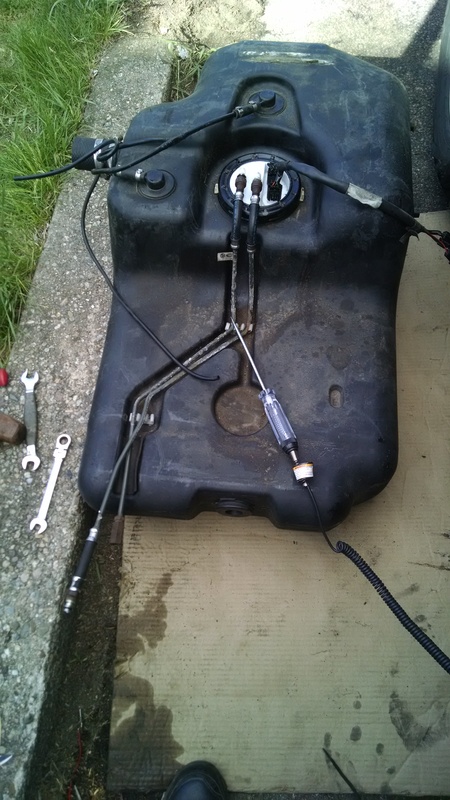 Of course this requires dropping the tank, basically it like replacing the fuel pump. Hopefully it will not happen right after you put 24 gallon of gas in the tank (sux dropping a tank that heavy). Now with that replaced hopefully my gas gauge will continue to work and the fuel pump won’t just shut off on its own. So as long as I was pushing my luck; I figured WTH why not replace the under hood fuse box while I’m already exhausted and filthy. If you have a p-38 and don’t know it yet they eat up fuse boxes, basic POS lucus design. They mount the under hood fuse box next to the recovery tank, so any spill or over heat and the coolant goes into the box. There are 8-9 plugs on the bottom side and three wires leading to the ecu’s, this was my fear that after replacing the fuse box the bcem would not sync or something like that. 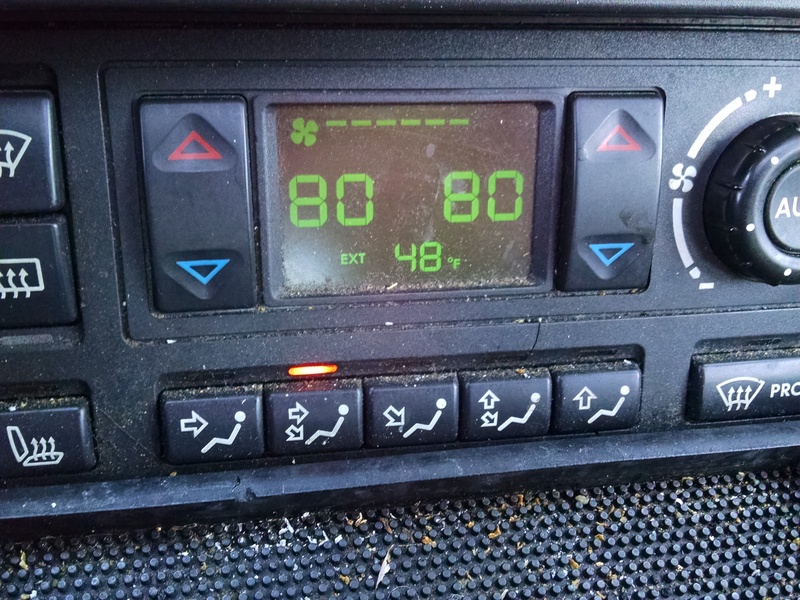 But no such problem replaced the box the truck started, I entered the radio code and set the roof and windows and good as new. When replacing the fuse box I installed an ABS relay in place if the standard fan relay R-7, Im told it will keep the amperage where it need to be in order not to burn the new fuse box. I also noticed that the textbook emblem on the heater control is gone, that has been on there for 3-years. I also had to replace a blown low bulb while i was at it. Grease oil and filter and hopefully this one will be set for the winter, three more to go. Last edited by drowssap; 11-30-2015 at 10:38 AM. I finally got a P38. Thought I'd contribute. Ordered pollen filters, brake accumulator, o-ring set for EAS minor leak fix a few days ago. These items should be in this week and I'll get around to fixing stuff up. Drove her about 20 miles around town she did great. She's a 2001. Java Black. Black interior with black piping. Has a new gray suede headliner. Sound system hookups. EAS still fully functional and 3 years "new" lol No leaks of any kind except a MINOR oil leak. Everything electronic works and the climate display has not burnt out yet lol. I love this thing. She has a small EAS leak too but I just bought an o-ring set so I'll be replacing those and trimming back the air lines a bit. So far it just needs new propshaft ujoints and a blend servo motors to get the heater going. I'm in Texas though so no rush. Might need a new cat too. edit: I just put on some new YELLOW foglights. She came with Blue HID headlamps and I personally LOVE the Blue and Yellow combo. I've got it on my Lexus lol Thought I'd make them match. Last edited by ashtray; 02-13-2016 at 11:58 PM. the black on black sound just right, i ended up with Epson green with a dark saddle interior, would have liked black interior. I just found a problem with my bags this weekend, below zero and it took like 15 minutes to get it to raise. I have spares, I just need spring to come to replace. speaking of part lots of eas parts to be found on the range rover sights. i got a set on practially new arnott bags GEN 2-3, from one guy, and Compressor and valve block from another because they both were converting to coils. Last edited by drowssap; 02-17-2016 at 08:33 AM. i know the feeling, now i go warn the car up just so it at height when i come out. 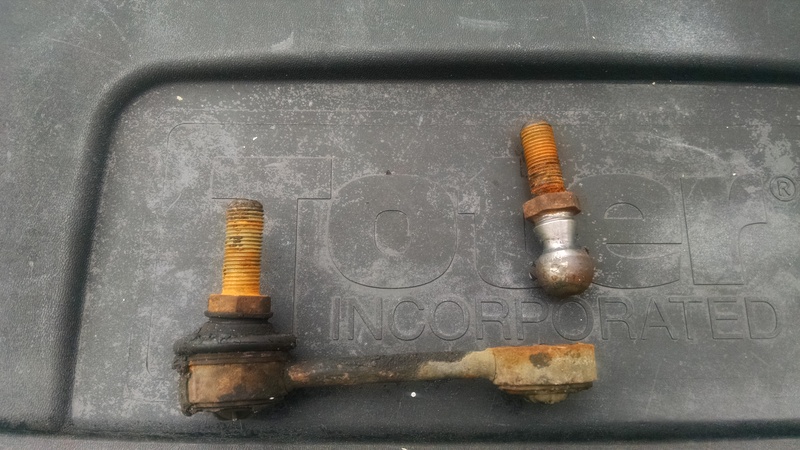 I actually broke a sway bar link the other day, luckly a had a spare. cant wait for spring to come new bags, new compressor ready for another 120k. Last edited by drowssap; 02-26-2016 at 06:20 AM. How much did you throw down for the "new" EAS setup? I think there are a few others, P-38 have gotten such a bad rap the most people don't admit to ever owning one. I find it comical that the EAS in the P-38 was so bad that every suppliers answer was to rip it out and replace it with coils springs. Yet even as bad as it was they still use it in the RR, lr3 & lr4's, and NOW it great, best system ever. of course that is just until the supplies find a way to fit spring and them this EAS system will be trash too. you can make money just selling scanners that will raise and lower you truck, no money there. they would rather "dumb down the systems" to their level, by adding switch or bypasses to the systems. As i said my system is in a 99 completely original, bags , compressor and sensors. I noticed that there were a lot of practically new p-38 suspension parts for sale on the range rover sites. People that guessed they need bags only to find out it was a compressor, or the other way around, So I bought up replacement bags from someone there. The same for my spare compressor/valve block someone guessed and bought the wrong part. I picked up a compressor/ valve block rebuild kit for $65 and replaced all the o-rings. between the new bags and rebuilt compressor and valve block; i have about $400 invested. now all i need is the time and weather cant wait to see it 2 inches higher in offroad mode. Last edited by drowssap; 03-18-2016 at 09:45 AM. everybody has heard how a P-38 will leave you stranded on the trail or the road on your bump stops. well it happened on my way to work yesterday, bells whistles lights ,the whole ball of wax. strangely, the EAS system is quite easily by past with a couple jumper wires. pull the 35 pin plug from the ECU under the drivers seat, now for a quick run down. LF bag is pin #10, RF bag is pin #27, LR bag is pin #11 leaving the RR as pin #28. those are your bags. Next you will need to know the inflate pin #26 and deflate pin #9, and power is on pin #1 (timed). to inflate a bag, jump the compressor at the relay and put power from pin #1 to the bag you want to inflate and to pin #26, and the bag will inflate remove pin #26 to stop inflation. Do the same with the other bags until you get the truck up to a usable height. 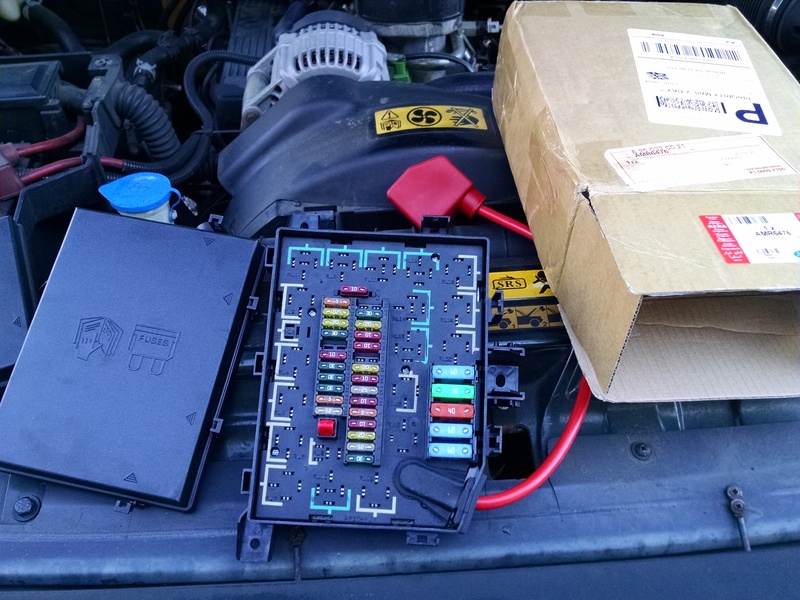 LEAVE THE EAS ECU UNPLUGGED, start your truck and get home. now you can check your truck out and see what the problem was that sent you into fault to begin with. yes you can buy boxes from $150 + that will do the same thing, cost me a set of low voltage jumpers from HF like $3 and a couple common pins from my desk draw.